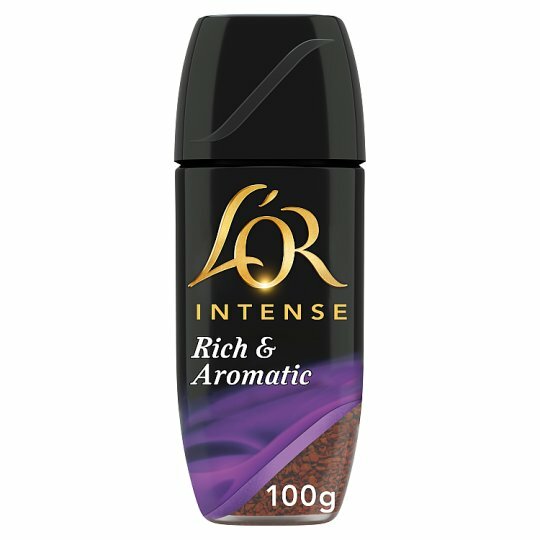 L'OR Intense: medium dark roasted coffee with pleasantly bold and intense, yet perfectly balanced taste. The presence of Southern/Central Americas and Asian coffee beans provides extraordinary taste and arousing aromas, for the ultimate coffee experience of this L'OR signature blend. Why not try the L'OR Espresso capsules coffee range, Tassimo Coffee Pods and Roast and Ground coffee range. Store in a cool, dry place., For Best Before Date see base of jar. Add 1 or 2 teaspoons per cup and hot water, just off the boil.